LAHORE: (Thursday, June 14, 2018): Punjab University Hailey College of Banking & Finance Principal Prof. Dr. Mubbsher Munawar Khan has been appointed as Dean, Faculty of Commerce, University of the Punjab, Lahore, Pakistan by the Governor/Chancellor. 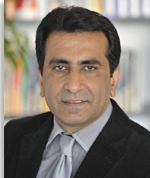 Dr. Khan has done his Ph.D. from Vienna University of Economics and Business, Austria. His research papers have been published in various foreign and local well reputed Journals. He has presented his research in several international research Conferences. He has a number of international and local research awards to his credit. He is Adjunct Faculty, Vienna University of Economics and Business, Austria. He is member of many consultative and administrative bodies at different Universities.